December | 2011 | Ding! Most of the positive things we believe about ourselves come from small compliments that provide the evidence we need to build our confidence in any given area. Something weird happened to me last week. I wrote my blog, as I do every week and posted it as normal. Since it’s promoted with a link on Facebook and Twitter, I usually see one or two views straight away, which grows over the following day to between 30 and 150. I might even get an odd comment or ‘like’. But this time, minutes after I posted, 87 people had read it. An hour later it has risen to 200. People were reading it at a rate of 1 per minute. I received an email from WordPress to say that I’d been selected from 650,000 blogs published that day as the one to be awarded ‘Freshly Pressed’. It meant that my post, with a picture was on WordPress’s front page as the most recommended read of the day. The views went up to 3500 over the next 24 hours. The next day I was still featured on the front page, but just not at the top and another 1000 people read the post. The same happened the next day and the next. But even better than the 8000+ people who have now read my blog this week, even better than the 200+ who ‘liked’ it and the 2300 who now follow my posts, were the comments. To date, there have been 164 and oddly, and wonderfully, every one of them was positive. I couldn’t believe it. Only two posts ago, I’d written an article about ‘the imaginary audience’ and yet here I was actually having a real audience and they were enjoying what I’d written. In many of the comments, the readers shared their memories and thoughts on the topic, but most had something extra: a positive compliment on my work. Such a massive pat-on-the-back from people I don’t know, from all over the world is a humbling and empowering experience. The blog was about John Lennon and the Beatles. You can read it (and the comments here). So how do you think I felt after reading those? 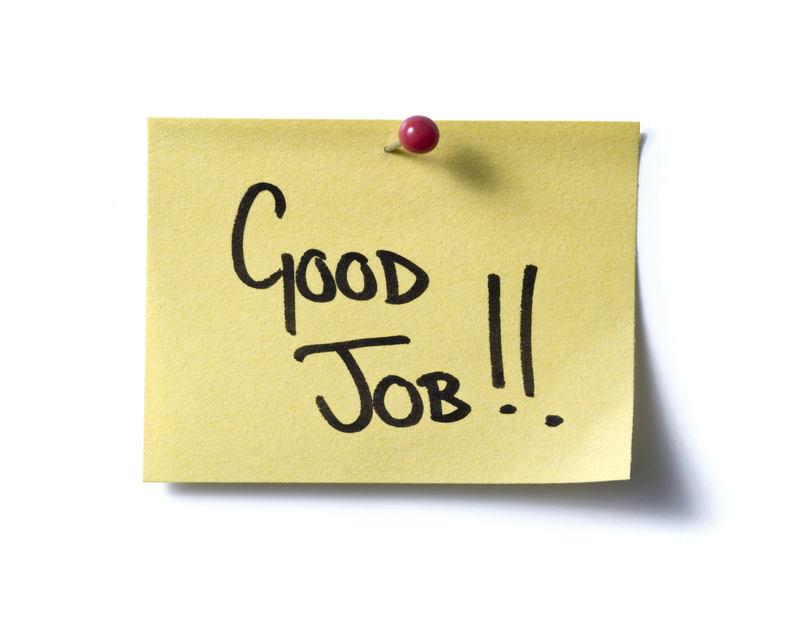 How do you feel when someone says to you, “well done”? Or even better, praises something particular, something definitive that you were wanting the achieve (in my case to write an emotive, interesting blog)? The best metaphor I can think of is that a compliment is like protein: we can survive without it, but will slowly, slowly waste away: we need it to grow, to build up and to become stronger and better. So many of us are under nourished, perhaps even suffering from malnutrition when it comes to compliments. A well placed compliment inspires. It costs nothing to the giver but is more valuable than gold to the recipient. So what should we do? I suggest we make dishing out compliments a habit. Throw them out there whenever and wherever we see something worth commenting on. If you are pleased with something someone has done, or notice something someone has created or enjoyed something someone has produced, don’t keep it to yourself, release the gift and say what you really think in a positive, supportive and friendly way. It’s actually quite simple. People like people who like them. Compliments create networks of enthusiasm that can mutually lift us all to greatness. A compliment can turn a ‘like’ into a ‘love’, an acquaintance to a friendship and a friendship to a life-long relationship. A compliment can turn the spark of attraction to an eternal flame of togetherness. (I’d like to thank WordPress for their gift of making me Freshly Pressed and all those who read and those who commented on my post. We were getting ready to go to school one cold Tuesday morning. We had the radio on, which was on most mornings. Beatle songs were playing. I think it was my Mum who said it first, “John Lennon’s been shot”. It was 9th December 1980. I was nearly 10. I listened in for details. Was he going to be ok? What had happened? John had been in the news recently anyway as he’d just released a new LP and single after being hidden away for five years. Then it was made clear. He was gone. My eyes welled up. I’d been a bit choked when Elvis had died three years earlier, but that was more of just picking up on the cultural feel that was around and watching the news. This was personal. I didn’t want to go to school. It didn’t seem right. Especially as they were playing non-stop Beatles and John’s tunes all day on the radio. So I went to school on that cold and damp day, depressed and sad, with the tune of Woman playing in my head, thinking about Sean Lennon who was five years younger than me and wondered what he must be thinking. In 1979 Beatlemania gripped me and my mates as the BBC broadcasted all the Beatles films: A Hard Days Night, footage of the Washington gig in 1964, the 1965 Shea Stadium concert, Help!, Magical Mystery Tour, Yellow Submarine and Let it Be. (This was the last showing to date for Shea Stadium and Let it Be.) It was amazing. My friend Sean and I formed a band, calling it the Bronze Beatles. I had got a guitar the previous Christmas but couldn’t play yet and we made a drum kit from chocolate boxes, drew guitars and sang songs from Help! (Sean’s Dad had the LP). I wanted nothing more than to be a Beatle and live in Help! That Christmas my brother and I got a tape recorder for Christmas. We had two blank tapes. I filled them up by recording my dad’s Beatle LPs and singles by placing the take recorder as close to the record player’s speaker as possible and telling my brother to be quiet. In January 1980 my Mum and Dad hosted a Burns night super. My Dad had got some Highland music records and he wanted them on cassette tape to play in the stereo system they’d borrowed. He had to tape over my copy of Help! It would be five years later later before I’d saved up enough money to buy my own vinyl copy. But my Dad got me a tape of the Beatles Rock ‘n’ Roll Music volume two to make up for it which gave me some new songs I’d never heard before such as I’m Down, Any Time at All and the brilliant Hey Bulldog. Up until then I’d only had access to a few Beatles tunes. My Dad had three Beatle LPs and I inherited (or rather, I sneaked out of his collection and into mine). There was Beatles for Sale (their 4th LP from late 1964), With the Beatles, their 2nd LP, from 1963 and Revolver, their 7th, from 1966. He also had the EP Twist and Shout which contained four songs stripped away from their first LP, Please Please Me and the singles She Loves You, I Want to Hold Your Hand and Day Tripper/We Can Work it Out. My Dad had a Bush single speaker mono record player. It played 45s, 33&1/3s and 78 rpm records. You could stack up a few singles on the spindle and it would play one and then another would drop into place. I discovered the record player at a very early age and rifled through my Dad’s collection of records. He had a handful of singles, most from the early sixties. Quite a few LPs, mostly Johnny Mathis, Herb Albert, the odd Sinatra and Dylan plus a bit of classical. I ignored all these. I was drawn to those four faces that stared out at me from the gatefold cover of Beatles for Sale. I knew that they were the same faces as those on With the Beatles. I found out they were called John, Paul, George and Ringo, but there was nothing on the sleeve to say which was which so I had to guess. My mind worked out that since they looked younger on With the Beatles and that it was in black and white, it must be the first album, perhaps preceded by Twist and Shout – also in black and white, but smaller. Then must come Beatles for Sale because that was in colour and a gatefold. But what about Revolver? That was in black and white but looked quite odd. The music was slightly different too. It was 1973. I was nearly 3. I surmised that With the Beatles was the past, Beatles for Sale was the present and Revolver was from the future. An earlier thought I had about the Beatles was that my Dad was John Lennon. The evidence was the photo on Twist and Shout looked just like him and the message of We Can Work it Out I felt expressed he ethos of my Dad. That was obviously a short lived theory. It wasn’t until around 1976 that I found out that the Beatles weren’t still together. The re-issue singles were in the chart, as was Lennon’s solo Stand By Me and Imagine singles. From that point, like every other Beatle fan in the world, I’d been hoping and longing for that reunion. Years later we learnt that John had planned to visit the UK in early 1981 and the four Beatles had agreed upon a reunion recording, perhaps a performance too, that year and had sworn secrecy on the details. All hope was dashed with the news on that December day. I’ve read loads of accounts of the Beatles and their lives in the hundreds of books published on the topic. There is a strange feeling reading the details of that fateful day, about John’s sessions at the Record Plant studio, of the killer’s meeting with Lennon earlier in the day where he signed a copy of Double Fantasy (there’s a photo of the two of them together). As I read the details and it all becomes more and more real I start to feel as though I can change the outcome somehow, as if the history of has not been decided. I meet John outside the recording studio and urge him not to go home straight away that night, then I wait near the Dakota building as dusk falls and spot the killer, tackle him, call the police, anything. But history doesn’t work like that. It felt as though there was so much more of the Beatles story to tell, so much more songs to come. As it must be the same as with anyone who loses someone, anyone, it feels as though we’re cheated by being given an alternative, grimmer history that the one we were promised. People older than me have said that the Sixties finally ended that day and the dreams of their youth were over. You can mourn a man you never met if what he stood for was an important personal idea. It was that idea that died that night. 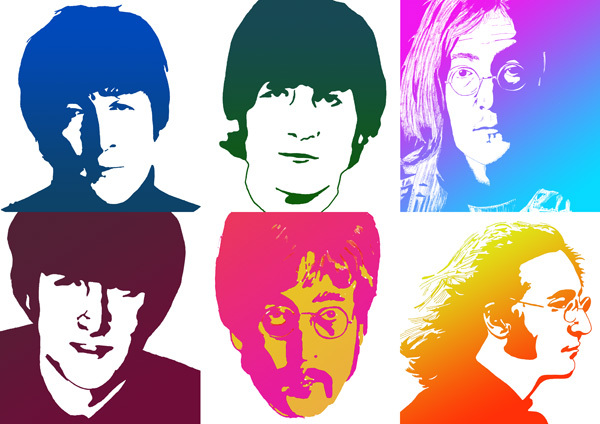 Some people say the Beatles, and Lennon, aren’t important. They’re wrong. Derek Taylor described them as ‘the 20th Century’s greatest romance’ and he’s right. We still don’t know why or how it all happened, but it did, and for a short while, many, many people in the world shared something. It represented probably the last great collective memory, a potent beam of optimism, hope and fun, that touched so many lives in so many ways. On 8th December 1980 the world was reminded that we are all mortal, ugly, vicious, spiteful and powerless. But there is still hope. We can still put on a Beatle record and find that the magic is still there, divorced from time and space, separated from the mortal men that created it. There IS joy to be sought and cherished in life no matter what undesired twists and turns we face. In 1999 I wrote an article about the two songs released at Christmas that year which competed for the number one slot in the UK single charts. They were John Lennon’s ‘Imagine’ and Cliff Richard’s ‘The Millennium Prayer’ (the Lords Prayer sang to the tune of ‘Amazing Grace’). As we approach the 31st anniversary of John Lennon’s untimely death, I thought it might be worth looking at again. Both songs were saying very different things to very different people – or were they? Both are very simplistic musically and lyrically, presenting quite complex ideas with enormous consequences in straightforward everyday language. ‘Imagine’ is John Lennon’s most famous song, but by no means his best selling (that honour goes to ‘I Want to Hold Your Hand’). It was composed a year after the Beatles split, at his house in Ascot in 1971, becoming the title track of his second solo album. Some of the lyric came from his wife, Yoko’s book ‘Grapefruit’. The song stands out on the album like a healthy thumb on a sore fist – its plea for world peace is at odds with the bitter and cynical songs that follow it. It was not released as a single at the time and had to wait until 1975 when it was released to promote a Lennon greatest hits compilation (reaching number 6). It was re-released following his death in 1980, taking the number 1 slot for four weeks in January 1981. In April 1970 Lennon had walked out on the most successful and popular entertainment phenomena in history. After leaving the Beatles, he began the process of deconstructing his cheeky, friendly mop-top image, much to the disappointment of his fans. John had married Yoko One, an avant guard Japanese American artist in 1969 – from then on the two were never seen apart. John began his new role of dressing in white and parading around the world outraging his fans and critics alike by proclaiming peace and ‘War is Over – If You Want it’. His message, like the lyric to ‘Imagine’ was simple and by his own admission, childish. 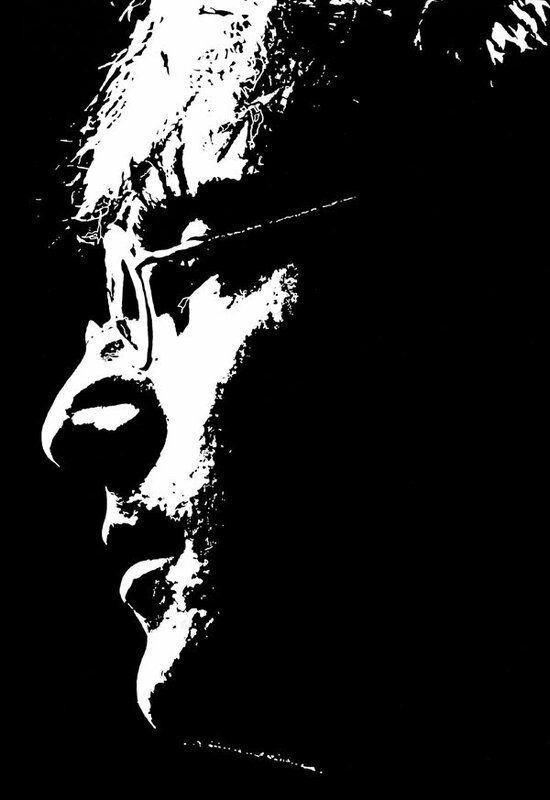 If everyone stayed in bed for a week, there’d be no more war – Lennon knew he was no politician (who he described as ‘all insane’) but he knew he had a presence and the attention of the world’s youth. Outraged by the crisis of the late sixties and Britain and America’s involvement in Biafra and Vietnam he began his bed-in for peace campaign. 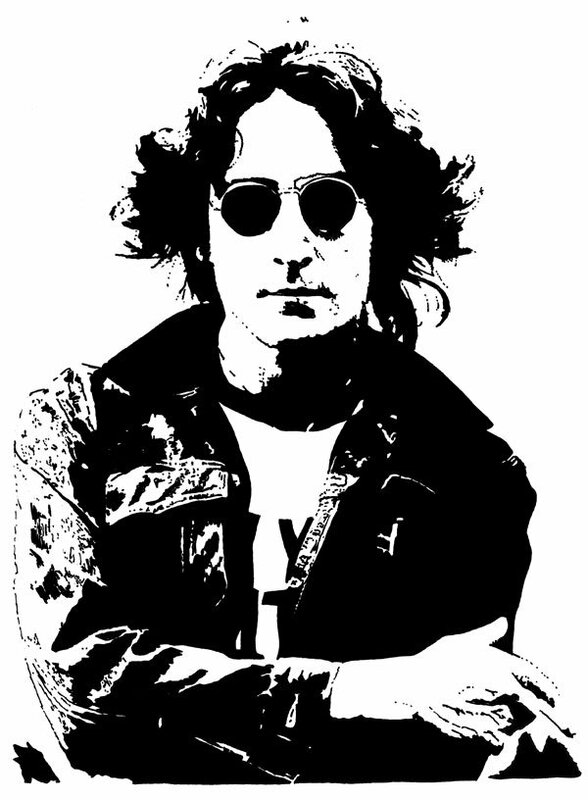 Born out of clownish stupidity John described himself and Yoko as the ‘Laurel and Hardy of the peace movement’ seeing their role as drawing the world’s attention to the issues then allowing the serious peacemakers who lacked his public appeal to take over. John wanted to fight the enemies of peace with humour, vowing he would never take himself seriously, because he said, ‘all the serious people like Ghandi, Kennedy and Martin Luther King got shot’. 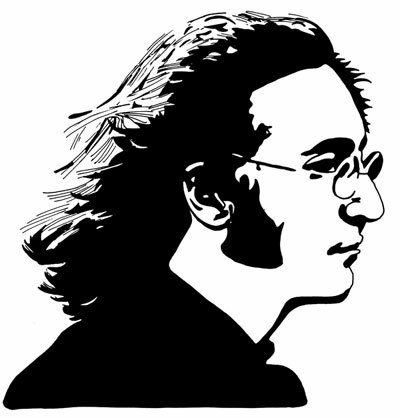 After ‘Imagine’ was released, the World Church approached Lennon to ask to use the song as their theme. Initially he was interested until they asked to change the line, ‘Imaging no religion’ to ‘Imagine one religion’. Lennon flew into a rage saying that they had misunderstood the whole point of the song. But what was ‘the point of the song’? 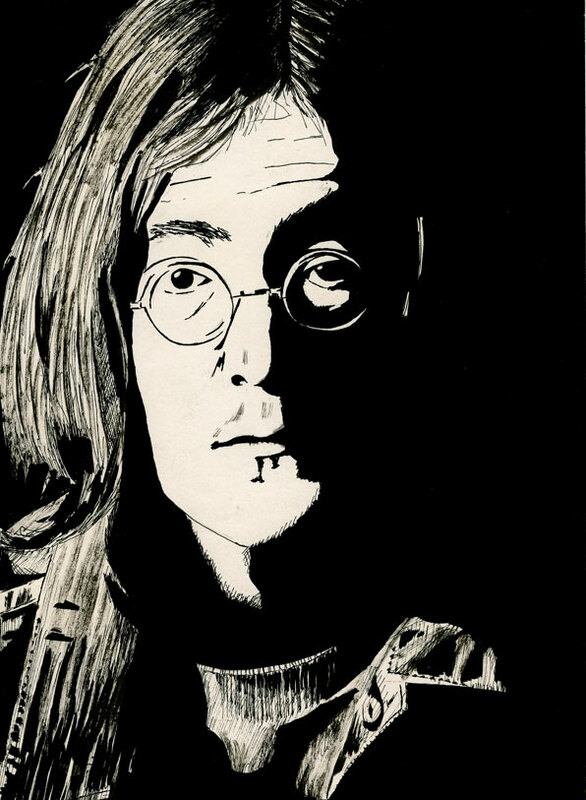 John refers to himself as being regarded by the world as a dreamer. He knows that the sentiment of ‘peace’ sounds idealistic and even foolish. He then informs us that he’s not the only one and that someday hopes that we, the listener will join with him and all the ‘dreamers’ so that the world will live as one, in peace. To me that’s the most important part of the song. A personal request for us all, when we’re ready, to join those who dream of world peace. The Beatles had been involved with religion before. In 1967 they attended a talk by the Marharishi Mahesh Yogi. Ringo never really got stuck into the eastern philosophy (he didn’t like the food) and Paul’s Catholic upbringing made him feel uncomfortable with it. George and John however dived in head first. George was the first to renounce drugs in late ’67 in favour of meditation. John’s affair with the Hindu mystic was short lived, pulling out of their stay in India after discovering that the Marharishi had urges that were certainly very human. John’s involvement with the peace movement was always from a common sense point of view. He was attacked by critics for seemingly criticising protestors involved in the riots in 1968. His Beatles song ‘Revolution’ says that instead of violence, ‘You’d better free your minds instead’. In an interview around that time he said, ‘Ok, so you bring down the government, what then? You assassinate the leaders, what then?’ Lennon’s view was that it was the system that needed attacking, not the people and to attack the system people’s minds needed changing on an individual basis, a personal belief that he had found lacking in eastern mysticism. Lennon gave up his peace protests in 1975 after the birth of his son Sean. Now living in America, he had been threatened by the CIA who had been bugging his telephone and had agents following him around over a period of two years. With the risk of him losing his permit to stay in America, he wrote to all the movements that he had been involved with, including his record company, saying that he was withdrawing from public life to bring up his son. Lennon said in 1970, ‘Jesus was all right. It’s his disciples twisting it that ruins it for me.’ At that time he was surprised to hear that his close friend Bob Dylan had become a Christian. And yet in his last interview (two days before his death in 1980) he talked about studying early Christian gnosticism and had become an avid viewer of television evangelism. Taken alone, ‘Imagine’ appears to describe a humanist utopia, but in the context of Lennon’s life and his other, rather large, body of work, it proves to be a reductionistic prose that, like the Lord’s Prayer, hints at a greater goodness. It would take many more words to explain fully but through gentle well chosen passages, stirring strings and a haunting piano, it manages to capture the attention of today’s impatient minds, perhaps just long enough for them to consider the message. Lennon’s work alternately switched from proclaiming peace and love to proclaiming his own humanity and frailty. The line in the song, ‘Image there’s no heaven’ is presented as though he believes that it exists, like he believes there are countries and possessions. What he wants to achieve from the song is the removal of obstacles that prevent world peace and that prevent us living for today, the same message as ‘give us today our daily bread’ – we cannot eat yesterday’s or tomorrow’s bread, only today’s. The message of ‘Imagine’ is the same as of most of the Beatles songs, essentially the same as the Lord’s Prayer, that of universal, eternal love. In 1967 the Beatles were chosen to open the first satellite broadcast around the world to 300 million viewers. John wrote a special song for the occasion called ‘All You Need is Love’. George Harrison said of the song and the broadcast as ‘an opportunity to do PR for… God’. It wasn’t that he really thought that you don’t need food or water, only love, but instead that we actually do have everything already, but what we really need, the thing that is missing, is love. What would Lennon make of his song being used for the Millennium? From his reaction to other things in his life we can safely assume that his reaction would not be the one we’d expect. Having his song used for a bland aimless celebration of nothing he would certainly have disapproved. But if in minds of the hedonistic aimless revellers at the white elephant of the £789 million Millennium Dome, it it stirred some thoughts on peace, he would have been pleased. The Millennium Prayer won the Ivor Novello award for the best selling single of 1999. 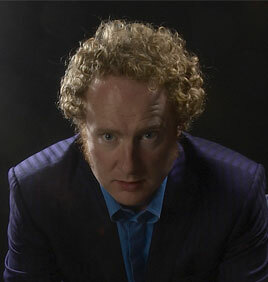 It was Richard’s fourteenth number 1 hit, hitting the top spot on 4th December 1999 and was the third highest-selling single of his career. The re-release of John Lennon’s ‘Imagine’ sat behind it at number 3. Both singles were beaten to the Christmas and new millennium number 1 spot by Westlife with their ‘I Have A Dream’/’Seasons in the Sun’. I’ve written nearly 500 songs. The lyrics for the first 400 or so are typed up and bound in a book. The original lyrics and chords are contain in dozens on hardback notebooks, usually written in multicoloured ink, dating back to 1985. 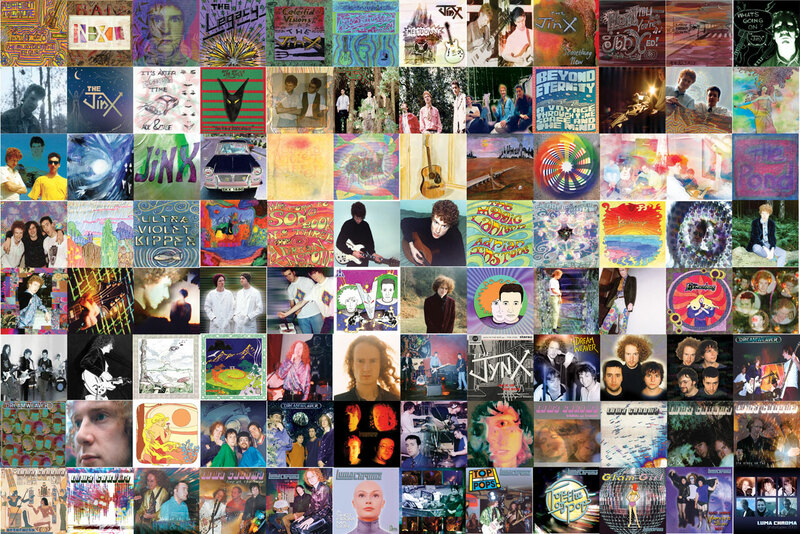 All my hundreds of cassette tapes and recordings have been remastered onto 96 CDs, all with nice covers. I haven’t written too many songs of late. And there’s a backlog of unfinished songs from the past few years, some good ones, crying out to be recorded. But recording seems to take so much time these days. It’s hard to get my old band mates together. I often don’t get my guitar out of its case between shows that often. What’s going on? Obviously I’ve got a young family now. But has my creativity run out of steam? Am I just too ‘busy’? Or are there other, missing ingredients that I once had, that are now lost? I’m not boasting that I’ve written 500 brilliant songs. Some of them are an embarrassment, like this one, See You at the Top. Some, which I derided at the time, have a certain quality now, years later. What is interesting to note is that because I wrote them down and gave them a ‘number’, they are all different. I didn’t re-write the same song over and over and I didn’t re-write someone else’s song; each of them are unique. Have a listen to The Land of Dreams. It had the best lyrics I’d ever written and yet we preferred it without any at all, so here it is as an instrumental. That’s just me and Jase just after we both turned 21. I have a particular fondness for the ones that were composed with others, where John or Jase contributed a line or a chord or where Twan and I would sit down and craft a hit tune for our forthcoming CD or record something really weird to send in to Nightshift (Oxford’s music magazine) to see what they would make of it. Try this for weirdness. We randomly arranged fridge magnet words and used them as the lyrics as an etherial stream of consciousness. It got a good review: Ghost Writing. Here’s a more serious example, The World Turns All Around. It was written when I was 20. Here’s the original solo version. And here’s the band versionwhich was our second biggest seller. I was 26. Our biggest seller, incidentally, was this song. Going back even earlier, I would write a new batch of songs and record them as my new album just to impress Jase, just to beat what he could do. Then he’d do the same and I’d be amazed at what he’d come up with so I’d go back and wrote a new album of songs with even deeper themes, cleverer lyrics, catchy or haunting tunes and so we’d go on, out-doing each other. My favourite from this era is Pipedream. Here’s the original solo version from 1991 and a live version with Twan on mandolin in 2002. What did we write our songs about? Probably what every teenage boy starts writing songs about: girls. Usually particular girls. In my case most of the early songs were about the same girl (she never knew). Can you write a dozen, very different songs all about the same girl? Of course you can, because she wasn’t a real person, or rather she was based on a real person but became something else: a muse. Here’s another, with the lyrics I’m most proud of as the songs began to get more sophisticated and eclectic, describing abstract feelings, emotions and consciousness. This is Never Forever. At college almost every one of my friends was a musician, and most were songwriters too. It was like being in a stable of artists like how I imagined London to be in the 1960s with all the bands hanging out together with Mick and Keith from the Stones popping into the Beatles’ Revolver recording sessions and John and Paul returning the favour on the Stones’ We Love You recording. There was a sense of belonging. Inspired by Syd Barrett, George and I spent two days immersed in what we thought was the founder member of Pink Floyd’s mindset, to attempt to write and record a batch of songs just like his. We did it, and the results are still impressive today. We were both 17. A year later John, Mark and I (then called The Jinx) wrote and recorded this Pink Floyd style song, Soul Survivor. The inspiration for which was the cover of a Brian Aldiss science fiction novel (You’ll see why when you see the cover for Last Orders). Of course, between the ages of 17 and 22 is the time in your life when you have the most time on your hands. No wonder it was my most prolific era. I had no responsibilities except for failing my A levels (because they came second after the music). Plus we all got by without the pressure of having to earn much money. Back in 1980, John Lennon felt as though he’d left the buzz, the wild times and the charts behind. He’d been writing the odd song here and there but since 1975 he’d been concentrating on his family and bringing up his son Sean. He felt that the magic had left him somehow and that his creativity had nothing to hang onto. There seemed to be nothing to fan the flames. By all accounts, he was generally happy, after all, he wanted for nothing at that point. It was during a sailing trip around Bermuda when he re-discovered his mojo. A storm came up and the crew where unwell and unable to sail the ship. It could have been certain disaster but for the 39 year old Beatle who, with rain lashing at his body, sailed back to safety. He felt ‘alive’ again. The next day the songs came thick and fast. The first ones to be finished went out on what was to be his last album, Double Fantasy, in October 1980 just after his 40th birthday. He continued to write and record right up until the night of the 8th of December when a gunman cut short his creativity and silenced the voice of a generation. I find that a real block to writing a song today. Who’s interested in my stuff? I mean really. I’m not 17 anymore. I haven’t had massive chart success. There are millions of songwriters out there. I’ve got no fanbase. Who gives a fig? What’s the point? What’s happening here is that there is a need for an audience for our creativity. We want approval, recognition or at least acknowledgment that we have done something. After all, art isn’t art until its put in a frame and hung on the wall. It’s not art when it’s in a drawer or in the attic. The irony is that at this point when I think I don’t have an audience, more people have viewed my band’s song Whatever Turns You On which has had 527 views on YouTube, than ever saw all of our gigs put together. My song about the psychic octopus has had 3574 views. In a way we’re like a post-modern Velvet Underground. That ‘famous’ band featuring Lou Reed only ever played in their home town to small audiences. By the time the world had caught on they’d all but split up. The other odd irony is that when I was at my most prolific and when we were in the band, pushing our own boundaries of song composition and performance, ‘who’ did we think we were doing it for? It certainly wasn’t to just impress the twenty or so people who may have turned up to one of those gigs. It wasn’t even to impress potential record promoters, managers and talent scouts as we knew they were not likely to be there. In our heads, we were at Shea Stadium. We were on the Ed Sullivan Show. We were on the Apple rooftop. In our minds eye we were doing a spot on Wogan or Parkinson, on TFI Friday, on Ready Steady Go!, on the Tube, The Old Grey Whistle Test and of course on Top of the Pops. We imagined our own audience and wrote and performed for them. By doing that we were constantly trying to beat our personal best for our ideal audience. So if you don’t feel you have the audience, or the right audience for your creative project, or have a block or that feeling of being uninspired, whether its songwriting or a book you have in mind, or something else entirely, look to see how many of the ingredients listed above you have.